It was my first fertility acupuncturist who taught me how to do a very simple daily self-fertility massage while trying to conceive based on Mayan Abdominal Massage. She told me that Mayan women were taught this after they got their periods, and practiced it throughout their child-bearing years as a way to nourish and support their womb and keep them healthy. 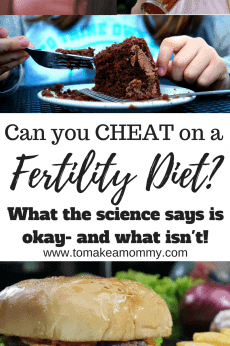 This massage was part of me going ALL OUT and doing ALL THE THINGS to get pregnant when I was diagnosed with infertility and the doctors told me it was impossible. 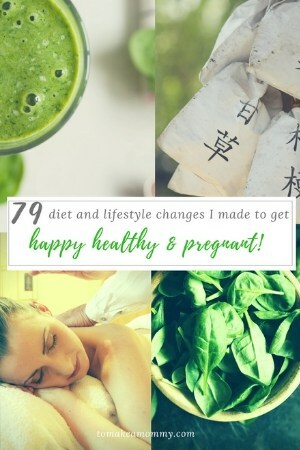 You can read my miracle story here and read all 79 Things I did to get Happy, Healthy, and Pregnant! I think that this massage is especially helpful for conditions like endometriosis (which I had/have), that might be related to stagnant blood or a lack of blood and energy flow. The idea behind this massage is that you are promoting healthy blood flow to the uterus AND that you are helping your ovaries and uterus to be in the ideal location. I hadn’t realized that your ovaries and uterus can move around, but they can! The truth is they can move all over. This means that for some women (like me), you may one year be told you have a retroverted or tilted uterus by a doctor, but the next year its normal. Although doctors may act like its a genetic condition that can’t be corrected, for some women it actually can be through exercises, positioning (not sitting at a computer for hours for example), and, through this simple self-massage! Now, when I was trying for my first miracle I only did this self-massage at home. I did a very simple five minute practice which I will show you below. I did it every day AFTER MENSTRUATION stopped but BEFORE OVULATION. If you are trying to get pregnant STOP doing this massage after ovulation. So if you bleed for four days, you’d start the massage on the fifth day, and continue every day until you ovulate, or just before. 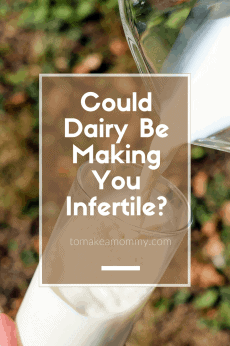 If you ovulate around Cycle Day 14 this is only 8-9 days of doing this practice. Pretty easy to add to your routine! There are additional gentle supportive “massages” you can do during the other parts of your cycle if you are interested, and I will share them below as well. Now, while trying for my second miracle I actually went to a Mayan Abdominal Massage practitioner. She was AMAZING, and the whole experience was much more in-depth and healing than the simple 5 minute exercise I had done with my first. I saw her when I was on vacation and she recommended being seen regularly by a practitioner near me. I never got signed up with a local practitioner because I wound up pregnant that month!! She also sent me home a practice guide for daily self-care. The first third of it was exactly what I had done with my son, and the rest of it was more elaborate upper abdomen massage. It looked awesome, but much more time involved. If you are interested in a more elaborate self-fertility massage you can see an Arvigo Practitioner who can teach you and give you a guide, you can watch some videos on youtube with women lighting candles and using oil, etc., or there are even videos out there you can buy. 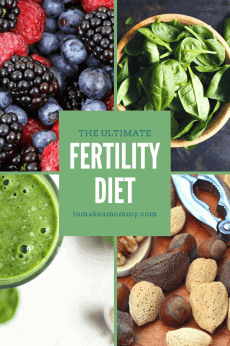 Personally, I packed in so much fertility work into my day (see my fertility mind-body work practice and my list of 79 Things I did to get Happy, Healthy, and Pregnant!) that I couldn’t do much more than 5 minutes of this a day. Also, I think this information should be free and accessible to everyone! 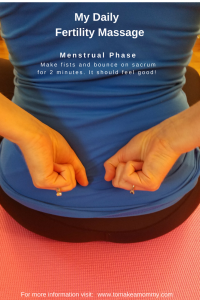 During your period you don’t want to massage your uterus, but there is a simple self-massage that can help with cramps and move the blood and energy in the right way. Sit comfortably with a straight spine. On your back, find your sacrum which is the bone at the base of your spine. It is like a triangle and is ABOVE your tailbone. Make your hands into fists and bounce them on your sacrum, rhythmically. Continue for a couple minutes as feels good. If you want to, try taking this time to visualize the old lining of the uterus easily releasing and flowing out, and new healthy blood flowing towards your uterus. This is the part of the massage that is the most important. It promotes blood flow to the uterus and ovaries, and helps them to be in the right place. The increased blood flow can improve the development of the follicles and a good uterine lining. Start this after your period ends, and continue until a day or so before ovulation. DO NOT do this massage after ovulation if you are actively trying to conceive because you don’t want to affect implantation. I would usually do this first thing in the morning, after I went pee, or before I feel asleep for the night. I would do this through my clothing, but you can also use oil and do this directly on you skin. Step One: Lie down, and put your hands on your womb. Bring your hands together with one thumb tucked under the other. Slightly bend your fingers to make a little cup or scoop. Find where your pubic bones meet in the middle and place your pointer fingers on the small indent of your pubic bones. Inhale, and then exhale as you gently and deeply as comfortable press into the soft tissue above the pubic bones, bringing your fingertips up towards your belly button. Do this three times. Step Two: Move your fingers to the right side of your pelvic bowl and put the left little finger on the pubic bone and the right little finger on the hip bone. Keep your fingers together in a gentle cup. Inhale, and then as you exhale, come down off the bones and as deeply as comfortable press in and move your fingers towards your middle. Do this three times. Step Three: Move your fingers to the left side of your pelvic bowl and put the right little finger on the pubic bone and the left little finger on the hip bone. Keep your fingers together in a gentle cup. Inhale, and then as you exhale, come down off the bones and as deeply as comfortable press in and move your fingers towards your middle. Do this three times. Repeat steps one to three 9 more times, for a total of 10 cycles though the steps. This means 30 strokes in each position, for a total of 90 strokes. I did this in about 5 minutes. I would probably be better if you did it slowly and luxuriously with candles, oil, etc., but I didn’t and it still seemed to work! While you are doing this consider visualizing the energy and blood flowing to your uterus and your ovaries. Imagine a perfect womb with an ideal uterine lining preparing itself for pregnancy. See beautiful healthy ovaries developing plenty of beautiful healthy follicles. 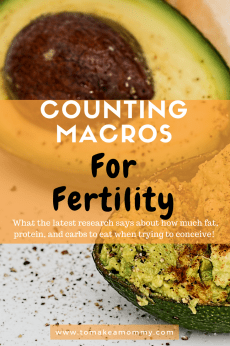 As you get closer to ovulation imagine one beautiful perfect follicle emerging as the largest and receiving perfect amounts of energy from your body. This is a gentle, warming massage for the ovaries during ovulation. You can start this 1-3 days before ovulation and stop after you’ve ovulated. With my first I wasn’t tracking my ovulation other than through signs, so I would basically stop the follicular massage on CD 12 or 13, switch to this until over I “felt” I ovulated (I tracked cervical mucous and I could usually feel ovarian pain during ovulation), then switch to Luteal Phase. After ovulation don’t do any massage because it could impact implantation! Lie on your back and gently place your hands over your ovaries with your fingers together. Gently massage the area over your ovaries in gentle small circles for one to two minutes. This should feel good and nurturing. No need to try to press deeply. You are simply stimulating energy and blood flow. Visualize your ovaries receiving everything they need. See them healthy and robust, with a gorgeous, plump, pink egg, ready to release. Be sure to spend time later in the day visualizing this perfect egg releasing and meeting a perfect sperm and creating a perfect embryo! During the post-ovulation luteal phase you are hoping that the little perfect embryo is implanting in your uterus! You don’t want to do any massage to disturb that. Instead, we just take a moment to place our warm, loving hands over our womb. Lie on your back and place your hands over your womb. Take slow, deep, calming breaths (I like to breath in for a count of 4, and breath out for a count of 8). Imagine love and warmth traveling from your hands to your womb. See your uterus as a lush, warm, jungle of nourishment for your perfect little embryo. See the perfect embryo being welcomed into the uterus and snuggling into your perfect uterine lining. Know that your womb is getting plenty of blood and energy from your body. Want more ideas? 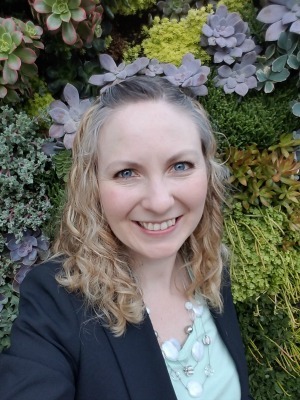 Check out all my blog posts on Mind-Body work for fertility! 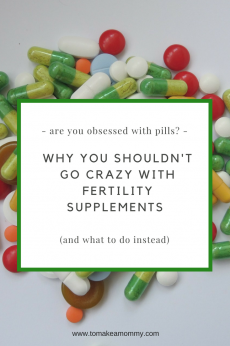 « Tips for the Luteal Period- how I boosted chances of implantation and pregnancy during the two week wait! Hi Anna my husband and I just got married in January and have not been able to conceive. I’m glad I found your post. I personally found and arvigo massage lady named rosa in Monrovia California who has showed me the same things you have on your post. You guys give me hope thank u.
I’m so glad you enjoy Mayan massage!! Sending baby dust your way my dear!! What do you mean by “bouncing” your fists on your sacrum? Like moving them up and down or away from (off your sacrum) and back onto (like gentle pounding)? Thanks for sharing these techniques! Lexie- good question! I mean like gentle pounding off and back. So if you are sitting up then your hands would move parallel to the floor. Does that make sense? I need to make a video!